As part of our commitment to keeping our community safer, Dryer Vent Wizard of South Eastern MA shares industry knowledge with South Eastern Massachusetts residents. Learn about dryer vent safety, warning signs, and news here! 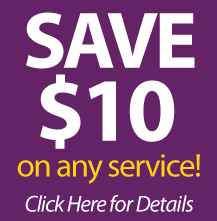 Save $10 on Any Service! Save $10 on any service with Dryer Vent Wizard of South Eastern MA! Simply print the coupon below and present it at the time of service. *Not valid with any other discount or offers. *Valid for services provided by Dryer Vent Wizard of South Eastern MA.